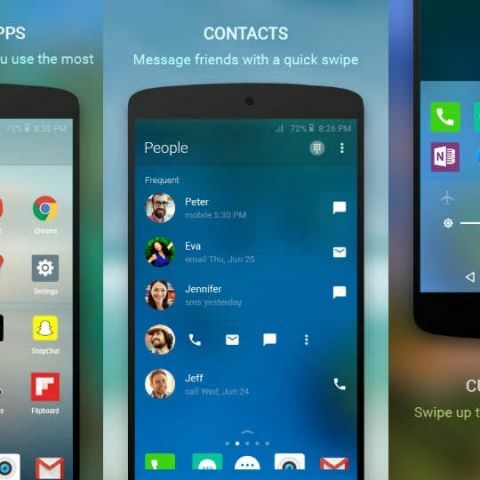 Microsoft has released an Android launcher called Arrow which it claims can simplify the Android experience. Microsoft says that the launcher learns from the user the more it is used. It also says that the launcher “does the heavy lifting so you can spend less time managing preferences, and more time enjoying your phone.” The launcher is available on the Google Play Store. In the Arrow launcher, apps are automatically arranged based on their use. Other features of the launcher include Page Management, where it will allow users to re-arrange pages, show or hide a particular page or even set a specific page as their homepage. It also offers users quick access to their frequently used apps and contacts as well as note-taking capabilities by swiping through screens. The launcher also supports third-party icon packs for more customisation options. The launcher is available worldwide and currently supports English as well as Traditional and Simplified Chinese. The launcher currently has a rating of 4.3 out of 5 with 1,608 reviews. Microsoft had released the launcher as a beta earlier this year. The launcher was released by Microsoft Garage, the company’s project lab where employees work on projects not connected to their primary function in the company. Aside from the Arrow launcher, it has also released a number of other applications for Google’s Android OS. One of them was called Keyboard for Excel which offered a keyboard that was optimised for numbers for more efficient data entry. Last year, Nokia also released a launcher for Android called Z Launcher. The launcher was designed to reduce clutter and random app shortcuts on the home screen by offering a customised experience. Like Arrow, Z Launcher also learns the user’s habits as well as other indicators like the location, the time of day as well other activities. It is designed to evolve over time and offer users a better user experience by providing them with their preferred apps and contacts based on their usage history. Yahoo also has a launcher for Android devices called Aviate. Like the Arrow and the Z Launcher, it too learns from the habits of the user and offers a customised experience. top launcher app for android?